33 Chinese Yogis ted Pratishthan, Pune on 28th January Saturday. Few yogis are the members of Cool Check Music Group of China. They performed various bhajans at lotus feet of Mother. At the end, Pune Collectivity Felicitated the Chinese brothers and sisters. Pune Collectivity offered the Sankranti Puja spontaneously on Sunday 15th Jan 2012. All the kids, yuvas, gents and ladies offered the flowers at the lotus feet of Mother and enjoyed the bhajans. 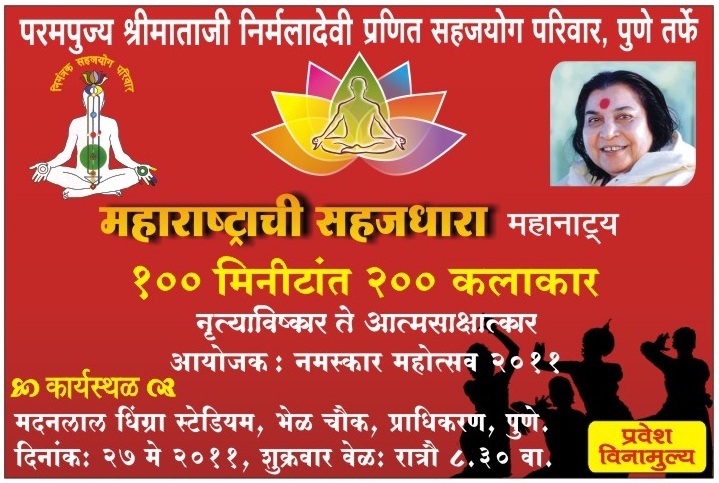 It’s a great pleasure to let all sahaji know that “Aarati” is offered at Mother’s Lotus Feet on every eve at Pune’s Pratishthan from 1st January of 2012. The Timing of Aarati and Meditation is from 7 to 8pm on every evening. Various sub-center collectivity has taken this responsibility about aarati. It is open for all the Sahajis. Also, we welcome all the sahajis from the world to visit Pratishthan. 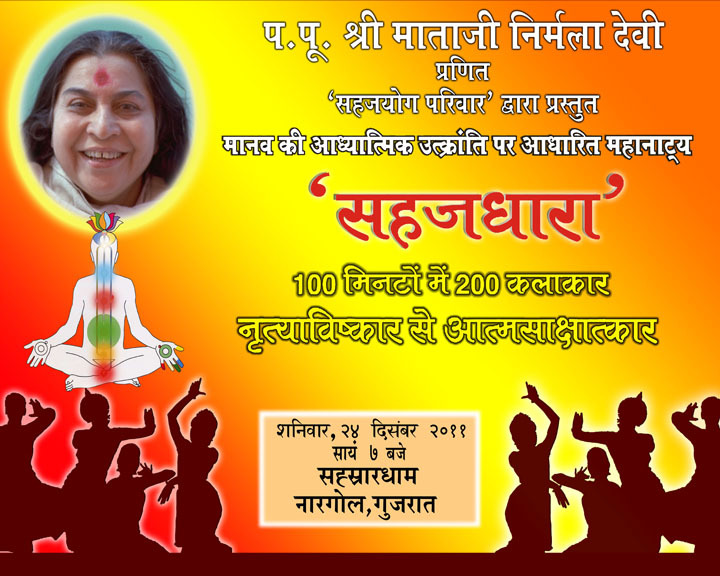 “Maharashtra Navaratri Seminar 2011” is organised in Pune from 30th Sept to 2nd Oct.
All Sahajayogis are requested to enjoy this opportunity to come to the land of KUNDALINI – Pune City. From Swargate bus stand , it i just 15-20 min distane. On Satara Road, take a left turn at Laxminayan Theater. Next Left Turn on 2nd lane and then Right Turn will take you to seminar Site. On Last Saturday, Sahaj Krushi Samiti – a sub committee under Maharashtra Advancement of Sahajayoga conducted the training for the farmers from various Districts of Maharashtra. “Sahaj Krushi Samiti” is going to launch 100+ projects for vibratory experiments on Plants, Animals and Seeds. 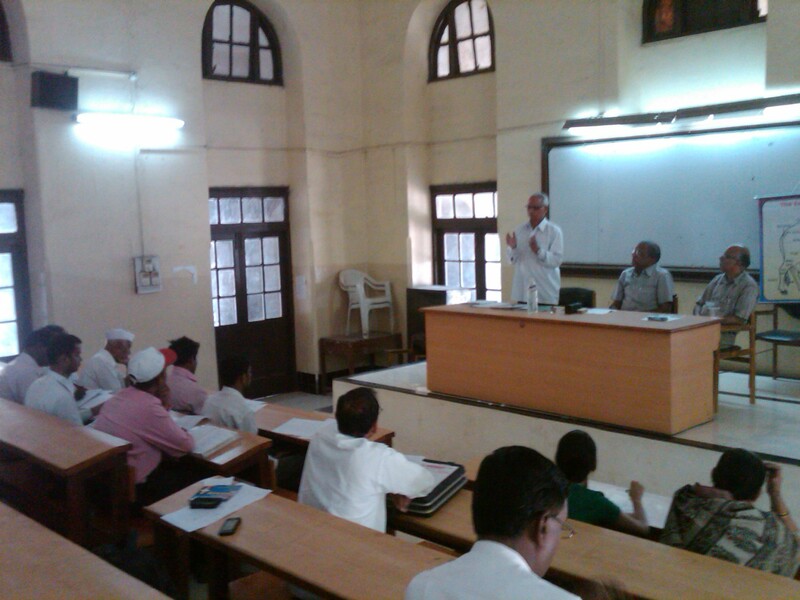 Dr. M. B. Kulkarni and Dr. Mangesh Deshmukh conducted the training. Mr. V.D. 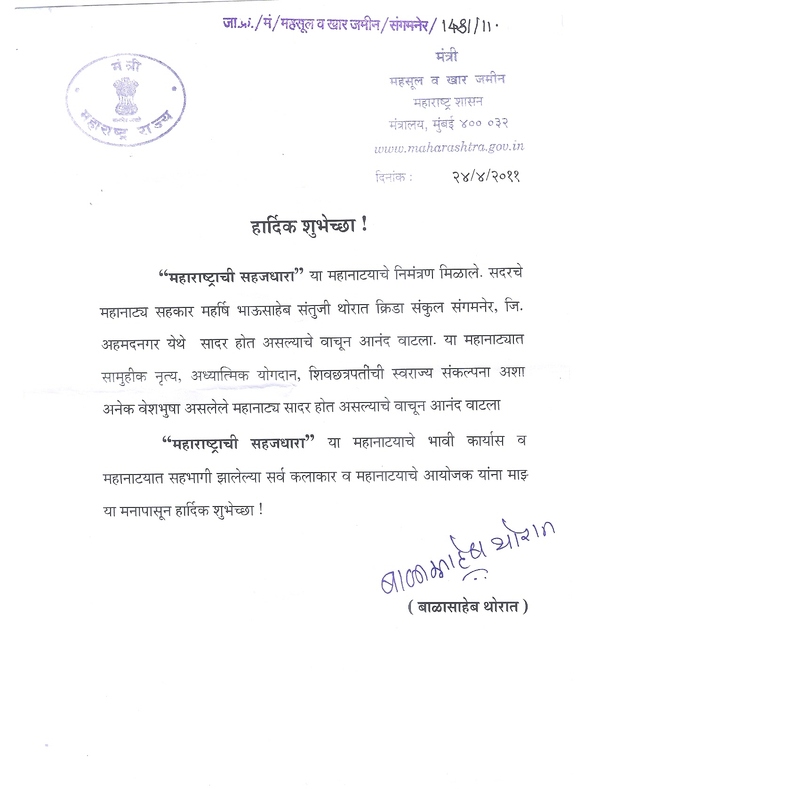 Nimbalkar expressed the complete support for such activities. Dr. Gajare [Member of Maharashtra Committee and Pune Coordinator Dr. Sneha Pitre was present for the meeting along with other 16 participants. Mother please bless us for these projects. 10000 plus realisations took place on Sunday 24th April 2011, through Sahaj Prachar Prasar Mahanatya – “Sahajdhara” at THORAT KRIDA SANKUL, Sangamner . 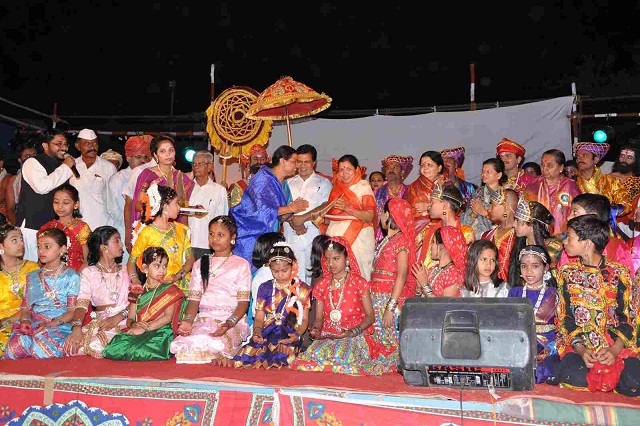 Mayor of Sangamner attended the MAHANATYA and thanked to all Sahajis and Shri Mataji for showing the spiritual history of Human in such a compact program. Lets congratulate all the Sahajis who had taken the efforts for the success of this prachar activity.